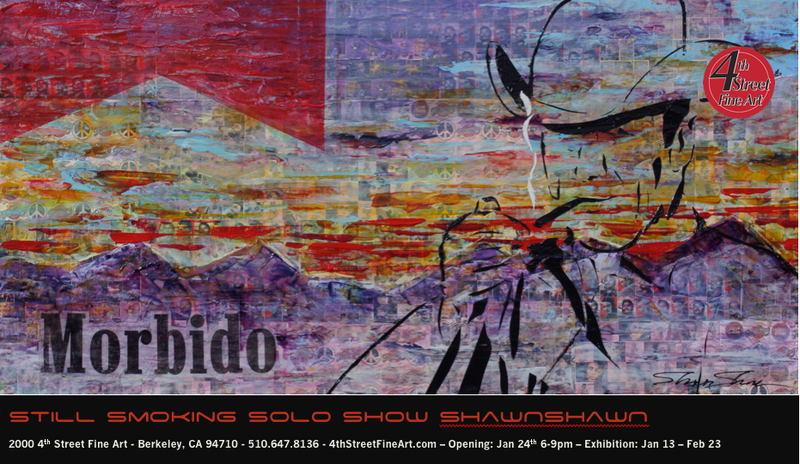 This is the debut solo show of artist ShawNshawN and his latest style of painting Political Pop. 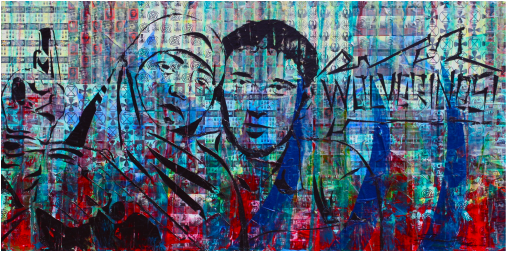 This style are about turning points in time by using pop cultural icons to expose the reality underneath the surface. Who is behind the popularity of smoking? Is it Hollywood, advertising agencies or politicians? Why did Putin go after her family and why did she join the Black Widows? When your sister is called to the reaping, would you volunteer to save her? Do you choose the red pill or the blue pill? The choice is yours. I am only offering you the truth. What would you do when you are commanded to drop bombs on civilians to save your people? Would you annilihate whole cities? Why is a guy who killed 1000s of cops and politicians celebrated each year in parades in Columbia? Why can't cocaine industry ever be stopped?